Susan Glaspell’s novel Brook Evans shares some themes with her more famous Fidelity, but she makes an interesting inversion in the plot. Still, the ultimate message is the same as in her earlier novel. Brook Evans’s story begins with that of her mother, Naomi Kellogg, in 1888. Naomi has been secretly seeing Joe Copeland since his mother objected to their keeping company. They plan to be married in the fall, after the harvest. But Joe is killed in a farming accident. Seeing no alternative but disgrace, as she is pregnant, Naomi reluctantly marries her other suitor, Caleb Evans, and leaves her beloved Illinois home for Colorado. Nineteen years later, Brook Evans wants to go to a dance with Tony Ross. Not only does her father, Caleb, not believe in dancing, being religiously strict, but Tony is a Catholic and part Native American. Naomi sees Brook’s relationship with Tony as an echo of hers with Joe, and she is determined not to sacrifice her daughter’s life to worries about what others may think. Unfortunately, the disagreement with Caleb brings out the truth of Brook’s parentage, with unforeseen results. In Fidelity, the heroine’s decision to grasp life by running away with her married lover blights her life. In Brook Evans it is the instinct to conform with societal norms that is blighting. Still, the ultimate message of both books is to follow your heart. Although I wasn’t so fond of Brook’s ultimate choice (or the perceived alternative) I found this novel thoughtful and so touching that at times I was in tears. Glaspell’s characters show several sides throughout the novel, so that at times you change your mind about them. This novel is another thought-provoking read from Glaspell. Since this is my post before Valentine’s Day, I’m trying to observe the day with a book about love. Kent Haruf, who passed away in 2014, was a great stylist. 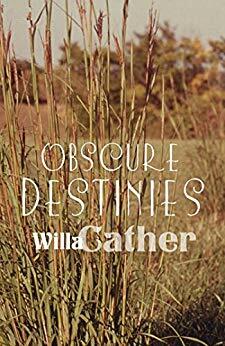 His prose is unbelievably spare, his tales about ordinary small-town people in eastern Colorado. When it was my turn to make a book club selection for the anniversary of his death, I picked Our Souls at Night, his last book. 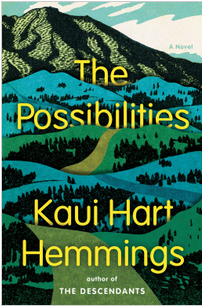 Louis Waters is a lonely widower in Holt, the town where most of Haruf’s books are set. One day his neighbor Addie Moore stops by with a proposal. She would like Louis to come over and sleep with her at night, sleep and talk. She misses this intimacy since her husband died. He decides to agree. Although Louis and Addie are not having a romantic relationship, at least not at first, that’s what the town thinks. Instead, they are simply lying together and talking over their lives. We learn, for example, that once Louis fell in love with another woman and briefly left his wife for her. Everyone in the town knows this, but Louis explains to Addie how he felt and why he returned to his wife. Addie’s son Gene is having marital problems, so he asks Addie to take his young son Jamie for the summer. Soon Jamie grows to care for Louis, who adopts a dog for the boy to play with. This is a quiet novel about loneliness, friendship, and love. Haruf said it has its roots in the conversations he had at night with his wife. Our Souls at Night is a lovely novel. After her son Cully’s death in an avalanche near their home in Breckenridge, Colorado, Sarah St. John is having difficulties. She has returned to work as a host of a local TV show but finds it hard to raise the enthusiasm needed. She is angry at the loss of her son, who had only just graduated from college, and is upset with herself for nagging him about his recent aimlessness. She is suffering from grief and a loss of identity. Then she begins discovering facts about Cully that she didn’t know. She finds paraphernalia for selling pot in his room, which jolts her. A young woman named Kit comes to see her, pretending to want a snow-shoveling job, but she is really Cully’s girlfriend. Sarah had never even heard of her before. Sarah’s family and friends are planning to attend a second memorial for Cully in Colorado Springs given by his friend Morgan. Sarah is dreading it, as she does not know how to deal with the sympathy or attention. Feeling the need to discuss the drug discovery, she asks Cully’s father Billy, whom she never married, to come see her the day before the memorial. This novel is a wise and heart-warming, sometimes humorous examination of grief and of life’s surprises. As in The Descendants, a disjointed and somewhat alienated family becomes closer and gathers new members after experiencing grief and making hard decisions. I found myself liking all the characters. Sarah is handling her feelings poorly but is sympathetically human. Her father Lyle is a retired public relations executive for one of the resorts. He is not doing retirement very well, giving his ex-coworkers unsolicited advice and buying too many gadgets on QVC. He moved in temporarily with Sarah and Cully and somehow never left, but Sarah likes him being there. Billy is calm and supportive, quietly dealing with his own grief. Sarah’s friend Suzanne, in the midst of a divorce, is at once annoying, interfering, and caring. I will soon be reviewing The Descendants, but in The Possibilities I find another satisfying and touching novel by Hemmings. 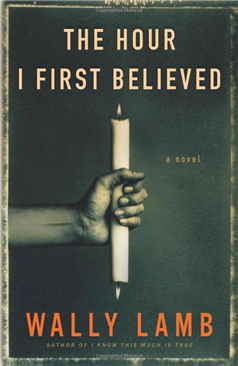 The Hour I First Believed is described on its jacket as an exploration of faith, and as such I didn’t think it would be very interesting to me. But it is really more about a man’s struggle to face the problems of his life and his own demons. It is an extremely interesting and affecting work. Caelum Quirk is not always a likable protagonist. He has anger issues—went after his third wife’s lover with a wrench—can be withdrawn and drink too much, says the wrong thing quite often, and earned my personal disregard at the beginning of the novel by referring to two different women as a ballbuster and a nutcracker. Lamb had to work hard to get my sympathy for his character after that, but he did accomplish that by the end of the novel. Still, whether I liked Caelum or not, I couldn’t tear myself away from his story. Caelum is trying to salvage his marriage after the wrench incident, so he and his wife Maureen decide to move away from Three Rivers, Connecticut, the town where his family has a lot of history, and get jobs in Colorado. They are settled there and are doing okay, although still having relationship issues, when Caelum is called back to Connecticut because his beloved Aunt Lolly has had a stroke. She dies shortly after he returns, and Maureen is making arrangements to come for the funeral but decides to work one more day at the high school where Caelum teaches English and she is a nurse. Unfortunately, the high school in question is Columbine, and the school day she works is the day two students go on a rampage. Maureen would normally be out of the area of trouble, but that day she decides to help Velvet Hoon, a troubled drop-out, fill out some papers in the library. Although she is not killed, she hides in a cupboard for hours before she is found, and subsequently suffers from post-traumatic stress disorder that barely allows her to function. She also struggles with an addiction to uppers. Caelum and Maureen move back to live on Caelum’s family farm, a place for which he has mixed but mostly negative feelings. His father was a drunk of whom he was ashamed. He remembers his grandfather as judgmental and his mother as cold. Only Lolly seemed to care for him. Troubles are not over for Caelum and Maureen, but I don’t want to reveal more about that. Caelum must also deal with his feelings about his family. His great-great grandmother was an early fighter for abolition and women’s rights, and she was instrumental in establishing the women’s prison down the road from the farm. It had a long history of treating the women with dignity and had a low rate of recidivism until its values were changed by modern tough-on-crime politics. Caelum’s great-great grandmother’s papers are in a spare room of the house. When Caelum is forced by financial circumstances to rent part of the house to a couple evacuated from New Orleans because of Hurricane Katrina, the wife, a women’s studies graduate student, asks if she can examine them. This and other events lead Caelum to several discoveries about his family. This novel is sprawling, even a bit messy, because it seems to want to deal with everything. It features large events such as Columbine, 9/11, and Katrina, as well as the inequity of the American justice system, PTSD, drug addiction, grief, love, trust, religion, infidelity, and other issues. It is interesting, frustrating, and ultimately worth reading.